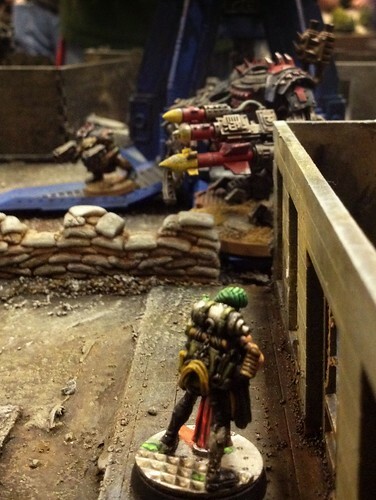 DrGabe's Miniatures: Adepticon 2012, Kill Zone, and oh yeah, I'm Back!! 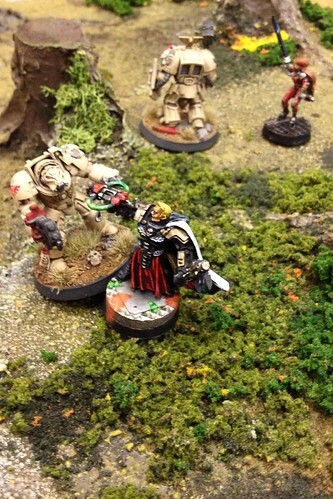 Adepticon 2012, Kill Zone, and oh yeah, I'm Back!! Well I'm back doing the blogging thing again. It took some time to get my crap together... Adepticon has come and gone for another year. It was awesome as always and we all had a blast. Later in the week, I'll post The Things I Learned at Adepticon. However, tonight I wanted to talk about the awesomeness that is Special Operations: Killzone. Brain and the team put together some very awesome tables and provided us all with a great opportunity to play. My Death Cult Assassin is taking out one of Taneth's finest. 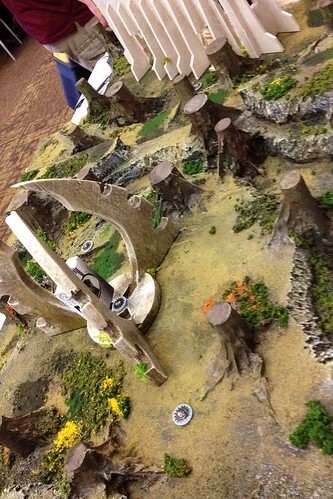 Awesome Jungle Board with ruins. Plenty of places to hide here. With the Inquistor dead, the DCA had to take them all on her own! 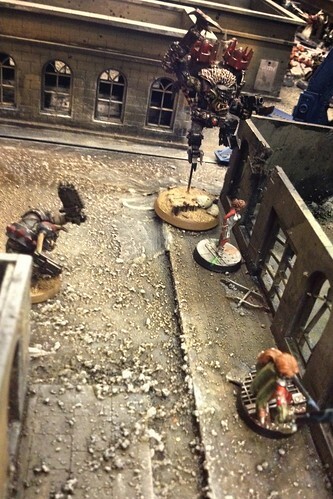 Later the girls had to battle some brutal orks. I brought my Inquistorial Henchmen who started off slow, but built up steam as the day (Friday) progressed. I finished the first session with only one win but played Mission Denial at least once! 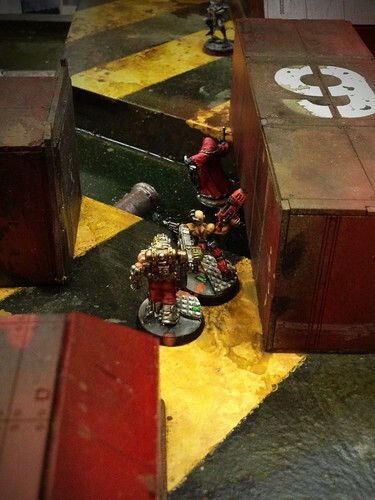 My plasma gunner had a great shot on a Kan. And it would have blown up, if it wasn't for a blasted cover save! The Inquistor was brave. But died anyway, lol! The squad moving among the buildings. I walked on the afternoon session and added a couple of wins for my Inquistor and ultimately took home best theme/appearance! 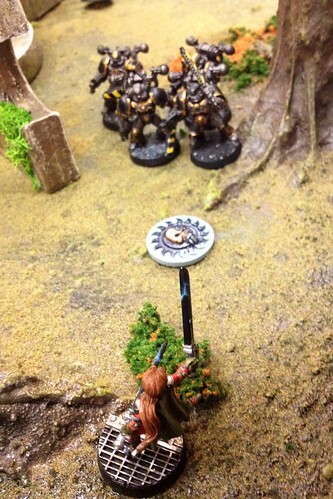 Yeah, my first Adepticon win! 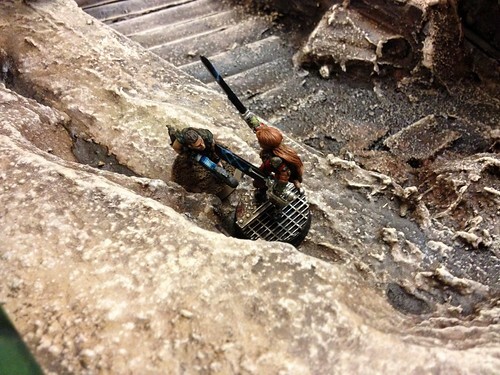 I got a very awesome Chris Borer miniature as well. The Artillerist, so awesome. I'm really happy to have this model. So thanks to Brain and the team for providing awesome tables, awesome prize support, and for just being awesome. I'll be back soon with more pictures and thoughts about Adepticon. I hope that everyone hasn't forgotten about me in my internet absence! Hey there, Gabe! Skarvald the Troll-faced here (Vlad) from the SO: Killzone team. I'm glad you had fun at the event and hopefully we'll see you again next time. I have quite a few shots of your army (I was the guy that was basically molesting your models with his camera..), so hopefully you'll be able to stop by and check 'em out when the posts are up! Next year -more beverages and civilized banter all round. I insist. @Brian- again, great to see you. Perhaps next year we'll just bring the whole mini-bar downstairs to make things easier on us all. My condolences to you two on the Blackhawks. Gu Blues!! I saw your team as well, very well deserved best theme/appearance win! Elbrun, thanks for the kind words. I'll have some 'glamor' pictures of the Inquistor's squad posted soon.